Jennifer Brozek: Wordslinger & Optimist! All of the books above link directly to Amazon or publisher pages. the University Bookstore in Seattle, WA is your best best. Visit the website or call: 1.800.335.7323. A Secret Guide to Fighting Elder Gods.. BattleTech YA novel. 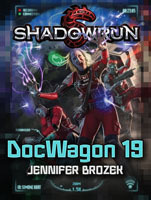 GHOSTS IN THE DARK… Jasper and Nadine Roux are cadets at the Ritza MechWarrior Academy; a dream come true for the orphaned siblings from the war-torn planet of Hoff. For the last six years, Emporia has been their home. Sponsored to the academy by the powerful Vogel House, both cadets are expected to excel in all tasks. Their dream becomes a nightmare when the Draconis Combine comes knocking. It’s up to the siblings to stop the renegade Seventh Ghost Regiment warlord when he lays claim to a piece of the Inner Sphere—starting with the Federated Suns’ planet of Emporia. The border world looks like easy prey, but this warrior of the Dragon is about to learn how wrong he is. After the few MechWarriors on the planet are taken hostage, the Sponsored and Blooded cadets of the Ritza Academy fight like they have nothing left to lose. A Secret Guide to Fighting Elder Gods.. Anthology. Read the first chapter. PDF download. "Readers will be enthralled with Prince of Artemis V's undeniable intrigue, but their hearts will be stolen by this achingly wonderful story of familial bonds. 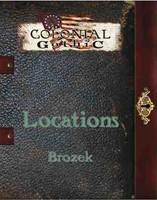 Brozek presents a much-needed fresh take that makes it impossible to put this sci-fi / fantasy tale down." ~Heather Nuhfer, comic book writer for Fraggle Rock, My Little Pony: Friendship is Magic, and Monster High. 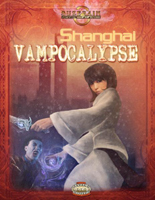 Nominated for a Bram Stoker Award for Superior Achievement in a Young Adult Novel. The Idea That Just Won't Leave You Alone. I tell you a little secret about The Last Days of Salton Academy. The End Days Have Come and Gone. On Risingshadow.net, I tell you where this novel is really set. A meaty interview with Ginger Nuts of Horror where I was asked questions I've never been asked before. 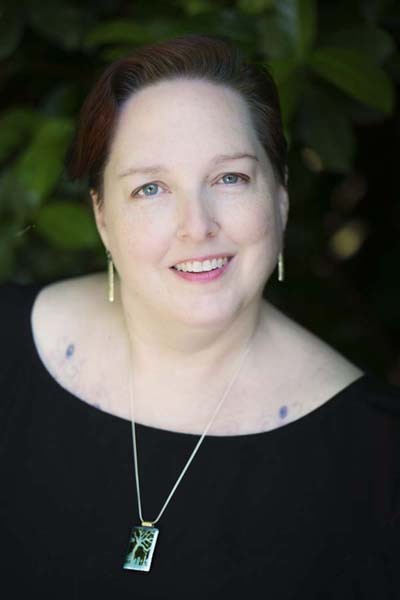 Interview with Wag the Fox focused on YA fiction. Includes the Bram Stoker nominated novel, Never Let Me Sleep. John Scalzi's the Big Idea: Who I wrote Never Let Me for... It wasn't just for who I thought. Mary Robinette Kowal's My Favorite Bit: Where Melissa realizes something about herself. When It Comes to Fighting Monsters: Why a Bat? The Fantastic Librarian's review. She liked it. The Arched Doorway's review. It has my favorite review line to date of any of my short stories. Milscifi.com review - 9 out of 10. Publisher's Weekly review - starred. Bitten By Books review - Four Tombstones. HEROES! anthology, Origins Game Fair, June 2013. Collectable anthology with a limited print run. Reader Review - They really liked it. Five stars. ideatrash Review - They enjoyed it quiet a bit. RPG Resource Review - They liked it. Review by tothebonereivews - Four stars. Review by Dark Media Online - They liked it. Review by Shroud of the Ancients - They liked it. Review by Ideatrash - They really liked it. Publisher's Weekly Review - A good one. Curled Up reader review by Douglas R. Cobb - What a lovely review. The Big Idea - Where I talk about the anthology. Fresh Fiction Review - They liked it. MyShelf.Com review - Liked it a lot. Good Reads review - Liked it but thought it was too downbeat. SFRevu Review - "Highly recommended"
A Fantastical Librarian review - Discordance got a a shout out as a fresh voice and a good story. GenCon 2011 Writer's Symposium anthology. Interview with me about my story, "M.O.V.E.," in No Man's Land. Curled Up with a Good Book review. Reader review. Solid B review. Reader review. Some liking, some not. Review by Douglas R. Cobb on bestsellersworld.com. Review by Clare Deming on Science Fictiion and Other ODDysseys. 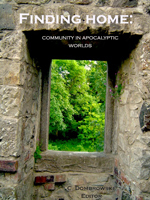 Review by Lyndsey Holder on Innsmouth Free Press. Review by Nick Bronson on Shock Totem. Interview with me from Dark Quest Books. Review round up from LiveJournal. Colonial Gothic: The Ross-Allen Letter, RPG supplement, Rogue Games, April 2010. DriveThruRPG or Kindle. 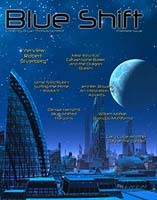 The Prince of Artemis V, short fiction, Crossed Genres magazine, January 2010. Issue 15.